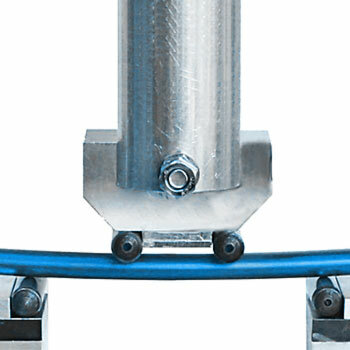 ASTM F383: Standard Practice for Static Bend and Torsion Testing of Intramedullary Rods. ASTM F1264: Standard Specification and Test Methods for Intramedullary Fixation Devices. This specification is intended to provide a characterization of the design and mechanical function of intramedullary fixation devices (IMFDs) specify labeling and material requirements, provide test methods for characterization of IMFD mechanical properties and identify needs for further development of test methods and performance criteria. The ultimate goal is to develop a standard which defines performance criteria and methods for measurement of performance-related mechanical characteristics of IMFDs and their fixation to bone. It is not the intention of this specification to define levels of performance or case-specific clinical performance of these devices, as insufficient knowledge is available to predict the consequences of the use of any of these devices in individual patients for specific activities of daily living. It is not the intention of this specification to describe or specify specific designs for IMFDs. This test standard covers static and dynamic bending and static torsion testing on intramedullary nails. 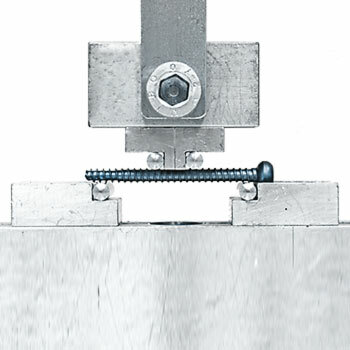 In addition, a dynamic bending test for locking screws is given.